Unlike classical crystals, quasicrystals do not comprise periodic units, even though they do have a superordinate structure. The formation of the fascinating mosaics that they produce is barely understood. 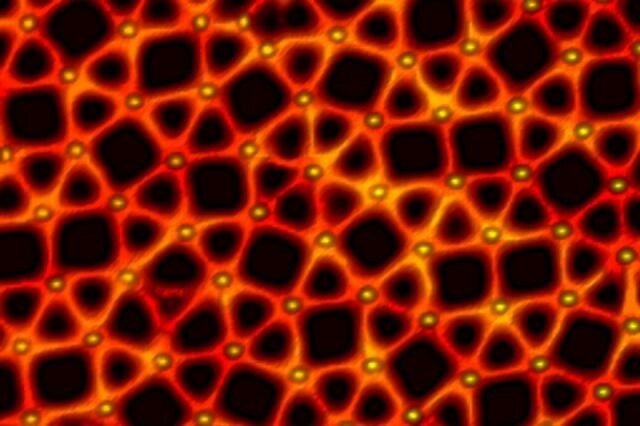 In the context of an international collaborative effort, researchers at the Technical University of Munich (TUM) have now presented a methodology that allows the production of two-dimensional quasicrystals from metal-organic networks, opening the door to the development of promising new materials.